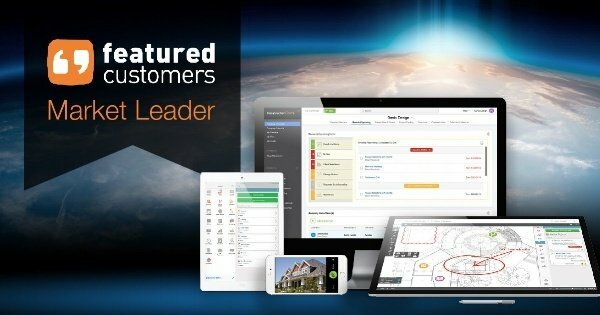 FeaturedCustomers evaluated all potential Construction Management companies for possible inclusion in the Spring 2018 Construction Management Software Customer Success Report, and only 29 companies met the criteria for being awarded 1 of 3 designations – Rising Star, Top Performer, Market Leader. Scores are determined by multiple factors, including customer success content, social media presence, number of total customer reviews, and vendor momentum based on web traffic and search trends. UDA Technologies received an overall score of 92, earning the Market Leader award in Construction Management. “Market Leader” is the highest designation awarded by FeaturedCustomers, made up of vendors with a substantial customer base and market share. Leaders have the highest ratio of customer success content, content quality score, and social media presence relative to company size. Highly rated by customers, UDA Technologies consistently publishes high quality vendor produced customer success content and curates quality customer reviews from multiple third-party sites. UDA Technologies continues to be one of the fastest growing providers of construction management software, managing over $60 billion dollars of construction in more than 75 countries worldwide. With a product family consistently expanding to exceed industry expectations, UDA Technologies empowers more than 500,000 construction professionals daily to build better, smarter, and faster.